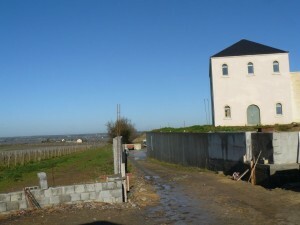 Driving through the Layon hills yesterday we passed by what will be Domaine FL’s new winery. 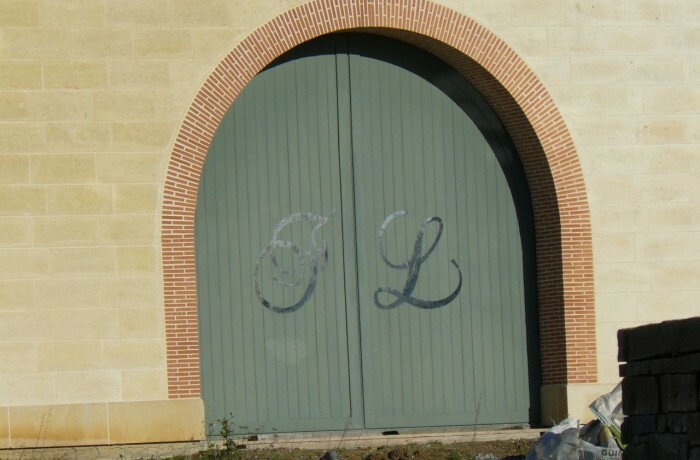 Domaine FL was founded in 2007 by Philip Fournier, entrepreneur, who having made his fortune in telecommunications, decided to venture into the world of wine. 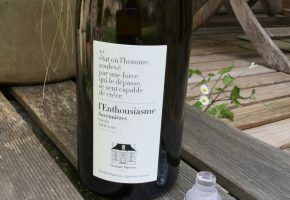 After an unsuccessful alliance with Jo Pithon (who now makes a range of great wines with his step-son Joseph under Pithon-Paillé) he is now aided by his son Julien, Stéphane Derenoncourt (wine consultant) and Hugues Daubercles (cellar master). For more information as to the history see Jim Budd’s posts on his blog here Philip Fournier has an uncanny resemblance to Lily Savage (Paul O’Grady). 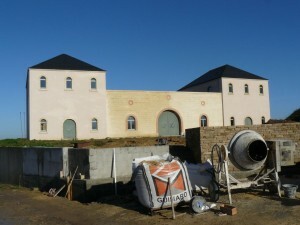 According to the website the winery will be up and running and open to the public this summer. There is some work to be done if this is the case. It’s a huge, swanky building, not very French in style and will apparently have a restaurant on the top floor with panaramic views over the countryside (this is true, it’s in a fabulous spot). 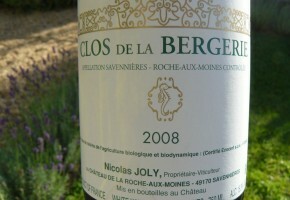 We’ll be tasting the wines at this year’s Salon in Angers so will post a report on that mid February. 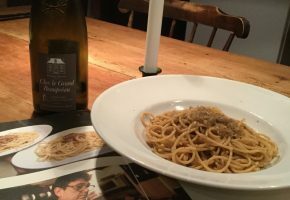 Such an easy mid-week dinner and one that is really rich in flavour. It’s hard to believe there are so few ingredients. 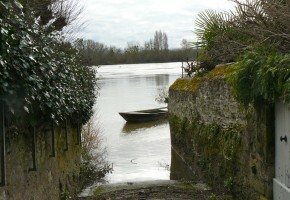 Normally in La Pointe it’s possible to walk down to the river and alongside it. You can sit on one of the benches and admire the tranquil water or potter along and find a more solitary spot to enjoy a glass of wine or a picnic. Lovely elegant aromas of lime and white flowers are followed by a rather exotic note of saffron and stone fruit which is just beguiling. 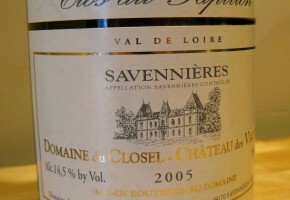 Rich and round on the palate, not too fat or heavy, nice acidity and balance. Really, really good.